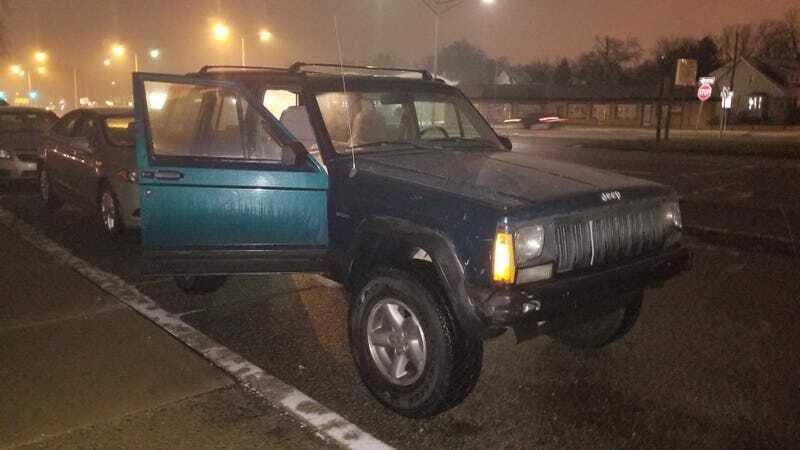 Last night at 12:30 a.m., I walked out of my friend’s apartment into a wet and freezing Michigan winter, and hopped into my 1995 Jeep Cherokee to head home. I turned the key, and then something strange happened. “Click,” the key turned to the accessory position. “Click,” it spun easily into the on position. Then, as I went to turn it to the start position—a motion that requires a bit more wrist strength due to the spring that pushes the key back to the on position when you let off—I heard another “click.” The motion required no added effort than turning to the accessory or on position, and the key stayed in “start” even after I let off. Needless to say, the Jeep’s 4.0-liter inline six didn’t start. It didn’t even almost start. Zero. Silence. I cranked the key back and forth into the off and start positions, but no dice. What a strange failure, and one that I’d never even thought of experiencing. I had recently encountered a “no start” situation in this Jeep—a situation remedied by a swift blow to the ignition switch with a rubber mallet. This time, though, that did not work, as the issue, I suspect, isn’t electrical. I think something in my ignition switch or key cylinder has broken off. Since I didn’t want to bother my friend so late at night, I took a Lyft home, and now the Jeep is sitting in front of her apartment. My plan is to Lyft back there with a big screwdriver, and short the starter motor from underneath with the key in the on position. I hope this works. Interestingly, when I posted about this situation on Twitter, someone responded by implying that I intentionally have car issues to have more to write about. Those two Jeeps in the videos above were, at one point, my only rides between my apartment in downtown Detroit and my job in Auburn Hills 30 miles away. For the longest time, I maintained my vehicles in the Fiat Chrysler employee parking lot, but when they simultaneously broke, the weather got bad, and I began noticing someone (possibly security) writing dates on my Jeeps (presumably to track how long they been sitting in the lot), I quickly had to find a place in the suburbs with a garage. I then limped my two cars there, and fixed them. Yes, I literally moved because my cars kept breaking. Wrenching on broken XJs: It’s a lifestyle. Will it ever end? Maybe not, but this particular Jeep, dubbed Project Swiss Cheese, may soon be off to the great junkyard in the sky. Is It Time To Send My $600 Jeep Cherokee To The Junkyard?